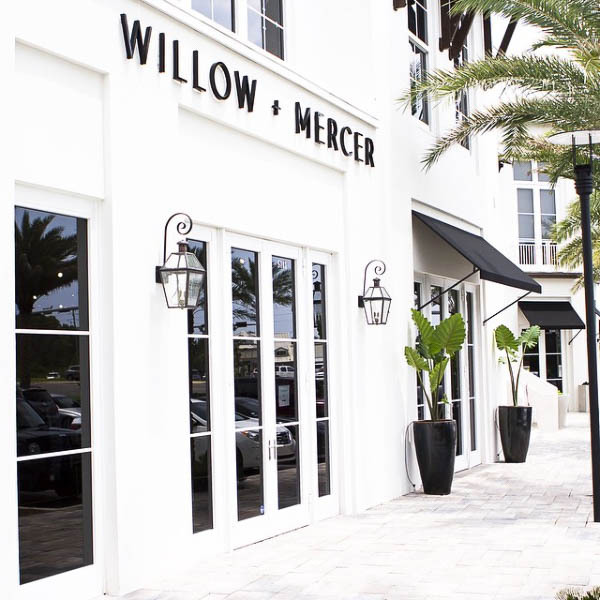 Willow + Mercer is a high end clothing boutique located on 30A in Rosemary Beach, Florida. Mercer is the fourth location for the Willow brand. Lee was brought on board during the planning phases and guided decision in all stages of construction. Working closely with the store owner, Lee was consulted down to the logo and brand development. The end result was a space that embodies a chic, freshly edited backdrop for their edgy high end lines. Lee has created a collection at Pieces to help you get this look.